Hair Transplant is an ideal solution for severe hair fall that results in baldness. There are many good clinics offering hair transplant procedures in India. Here we discuss why Kaya Clinic is the best among them. Kaya hair care treatments are wide and varied. They provide many hair loss treatments. This can begin from Kaya products for hair fall that nourishes your hair, to product ranges that address specific issues - root revitalisation, hair thinning solutions, therapies to treat dull and frizzy hair, etc. Hair Transplant is the most popular hair restoration technique for baldness. A hair transplant done at a reputed clinic is safe and effective. Kaya Clinic provides the best service for hair fall. Procedures done at this clinic provide many benefits that make it the best choice for HT. First, your scalp is examined to determine if hair transplant will be a viable option. Then the surgeon decides how much coverage of hair you can get, and how many sessions of hair transplant surgery it will take, depending on your baldness and the hair density on the back of your head. You will be informed of all these details before you agree to undergo the treatment. At Kaya, the best hair transplant surgeons in the country perform the procedure. These surgeons have all been trained in advanced hair transplant surgery. These dermatosurgeons have years of experience and have performed hundreds of successful hair transplant procedures. Some of their top dermatosurgeons have performed more than 2,000 successful hair transplant surgeries! The surgeon is supported by a team of trained technicians and medical support staff. All of them have worked with the surgeons on numerous hair transplant surgeries and are experts in their respective fields. Kaya Clinic Operating Rooms are clean, hygienic and well maintained. They are fitted with world-class equipments required for the hair transplant technique used. The OR is also well equipped with emergency equipment, which is a safety requirement in any clinic that performs surgical procedures. Kaya hair transplant is done using the Follicular Unit Extraction method. This is a surgical procedure that does not involve any major cuts and stitches, so there are negligible wounds and scars after the treatment. Because of this, the scalp heals quite quickly after the surgery and hair growth can begin soon after. Kaya surgeons use an Advanced FUE technique that is very effective in giving the best results from a hair transplant. The surgeon harvests hair follicles from the donor region at the back or sides. Then, these hair follicles are examined to select the best, and these are then grouped into follicular units of up to four hairs each. The surgeon then creates punctures in the receiving region in a pre-planned pattern. This pattern has been mapped out to make give the best coverage of the bald area, and to make the transplanted hair grow in a way that perfectly matches your natural hair growth. At Kaya, the doctors have designed a systemic approach which combines the surgery with follow up scalp and root rejuvenation hair treatments to ensure the best results in hair restoration. After the transplant is completed and hair has begun to grow on your head, PRP for hair, nutri infusion therapy, and root stimulation using a mild laser treatment are all applied to give you the best chance for getting a full head of healthy, glowing hair that makes you forget you ever had a baldness problem. Healthy hair growth begins within a year on the transplanted area. If you are worried about the cost, Kaya Clinic allow you to pay by session. If even this option is too expensive, Kaya can arrange finance for the hair transplant procedure, so that you pay the entire cost through 0% EMIs. These are some of the top reasons that make Kaya Clinic the number 1 place to get a hair transplant. Experiencing hair loss, and trying out many different suggestions? One of the first suggestions you get might be to change your shampoo. Whether your shampoo is causing your hair fall or not, just throwing away the shampoo will not put a stop to your hair loss. 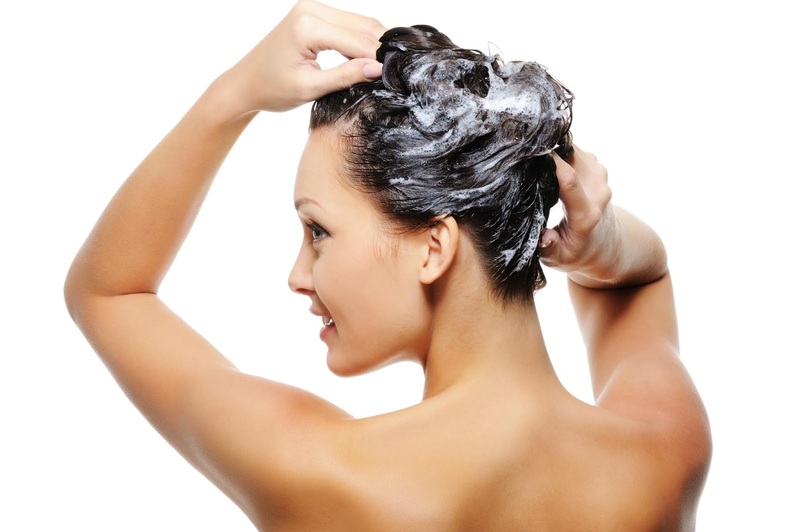 Shampoos are used to clean your hair, which should be their primary function. For this, shampoos do use some chemical ingredients. If the shampoo has been well formulated and you use it as directed, there should not be a problem. Still, many shampoos can contain too many harmful chemicals in an attempt to give the perfect clean, the best shine, volumize your hair, etc. You should get the advice of a hair care specialist while picking a shampoo that best suits your conditions. If you have a dandruff problem and were told to use an anti-dandruff shampoo by your dermatologist, use it. After your dandruff problem disappears, stop using that shampoo. The ingredients that target the dandruff issue may cause harm to you once the problem is resolved. Get back to using your regular shampoo. Avoid using shampoo-conditioner combos. These are two separate products that perform two distinct functions. One cleans, the other makes your hair shinier and more manageable. A shampoo should wash off completely after a bath. 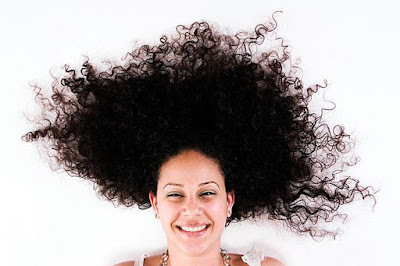 Conditioners should stay on your hair for long, as they provide a protective coating for your hair. 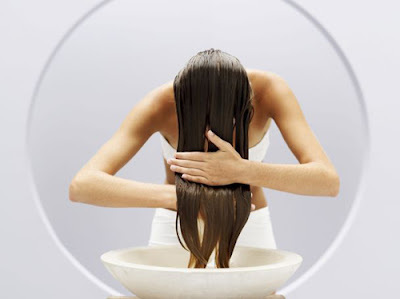 Shampoo is applied to your scalp to clean it. Conditioner is applied to your hair shaft to shield it. For all these reasons, do not use conditioner-shampoo combos. Choose good shampoos like Kaya Nourishing Shampoo for daily use. For an effective dandruff solution, you can try Kaya Anti-Dandruff Shampoo, which has a Scalp Purifying Factor. When you are having hair fall issues, use the Scalp Revitalising Shampoo from Kaya. However, just a change in shampoo will not suffice. For an effective hair thinning solution, you have to combine it with other products like a nourishing oil, a good conditioner, a protective serum etc,. To get the best effects, you can try some specially formulated hair loss treatments - like PRP for hair at Kaya Clinic. Kaya hair care services include PRP therapy for rejuvenating the scalp and hair follicles. PRP stands for Platelets Rich Plasma. Platelets play a key role in wound healing by stopping bleeding. The Plasma and Platelets for PRP therapy are extracted from your own blood. This treatment is very effective because the platelets are rich in growth factors, which help encourage hair growth. Platelets can stimulate new cell growth. At the appropriate place, they can encourage stem cells to grow into hair cells, and they also make your hair stay for longer in the growth period or Anagen. Around 20 to 25 ml of blood is extracted from you and collected in a tube. The tube is then put into a centrifuge which spins it at high speed. This results in the separation of red blood cells, platelets and plasma. Red blood cells settle at the bottom. Platelet rich plasma forms a thin layer in the middle, called a buffy coat. The top layer is platelet poor plasma. The buffy coat is removed for use in PRP. This is again centrifuged to create a rich concentration of platelets. This highly concentrated PRP is collected into multiple tiny syringes and used in PRP Therapy. Your scalp is cleaned with an antiseptic solution. The scalp is stimulated to awaken the wound healing process. Local anesthesia may be administered to make it a painless process. The PRP is then injected along the thinning hairline, with multiple pricks. For best results, PRP treatment may be repeated every 3 to 6 months. As the PRP is taken from your own blood, there is little risk of any harmful side effects. Those who are suffering from Alopecia Areata, those who have recently had Hair Transplant surgery, and anyone who has weak hair growth can benefit from this therapy. When you have hair loss issues, do not confine yourself to superficial methods like change of shampoo or another cosmetic product. This may lead to further complications. Fix an appointment at a reputed hair care clinic like Kaya Clinic and have your conditioned diagnosed, then follow up on the treatment advised. Good nutrition, proper hair care and occasional hair revitalizing therapies are needed to maintain healthy hair growth. If you experience hair loss, adding foods rich in hair growth stimulating nutrients to your diet can help in the long term. However, for more effective and quick results, a targeted hair nutrient therapy may be a better choice. Like everything else in our body, hair also needs good nutrition and a healthy diet. This includes eating foods that are rich in certain vitamins and minerals that are needed for hair growth. You need Vitamin A which plays a vital role in cell growth. Vitamin B is needed for producing red blood cells. This carries essential nutrients to all parts of the body, including your hair roots and scalp. Vitamin C is an antioxidant that reduces the effect of free radicals. Vitamin D which you get through sunlight, is also needed for the body to stay healthy. Many people don't get enough of this nutrient. Vitamin E also has antioxidant properties and is required for healthy skin and hair. You also need proteins, zinc and iron for healthy hair. You can modify your diet to include foods rich in these nutrients. You can take nutritional supplements. However, there are certain special hair therapies designed by experts that can provide quick benefits. At Kaya, every product and every special therapy is designed by dermatologists who test them for effectiveness on the conditions they treat. Kaya provides many products for hair fall and many hair care treatments. These include PRP for hair, IHRT or Intensive Hair Root Therapy, and Hair Nutri-Infusion Therapy. PRP uses platelets extracted from your own blood to treat skin and hair issues. Here we focus on two other best service for hair fall - IHRT and Hair Nutri-Infusion Therapy. Hair fall can happen to anyone, at any time and it has varied causes. It can be triggered by environmental pollution, poor diet, nutritional deficiencies, certain illnesses, medications, and heredity. When it comes to severe hair loss, it can be caused by conditions like Alopecia Areata, in which your own immune system goes awry and attacks healthy hair follicles. Hair fall can be caused by heredity too. In this case, hair loss begins during and after menopause. The hair loss begins at the center of the head and spreads outward. Though this rarely results in baldness in women, it greatly reduces hair density and makes the scalp more visible. At Kaya, hair loss is treated with nutritional therapies. The following two treatments can be very effective in treating Androgenic Alopecia, Alopecia Areata, and Telogen Effluvium, besides other hair loss conditions. In this treatment, dermatologists create a mix of vital nutrients - plant extracts and vitamins. This is delivered directly to the hair roots through micro injections. These tiny injections are delivered to the hair loss region in the scalp. The nutrients quickly get into the system to stimulate hair growth and strengthen hair follicles, so that new hair growth can be strong and healthy. This hair loss treatment also delivers vital nutrients directly to the scalp and hair roots. However, in this case, instead of injections, the nutrient cocktail is infused into the scalp and follicles though charged ions. Delivered beneath the skin, these nutrients stimulate and revitalise the hair roots and scalp. This prevents hair fall and helps new hair to emerge. The emerging hair is strong and healthy. The nutrients also help existing hair shafts become strong and radiant. There are many hair treatments available at Kaya clinic for hair fall. The above-mentioned therapies can be very effective hair thinning solution for women suffering from severe hair loss. Fix an appointment at Kaya, and get advice on the right treatments and products for your hair loss problems. Schedule therapy sessions to regain your youthful glowing hair again! As you age, your skin begins to lose its youthful firmness, contours, and elasticity. Age spots, wrinkles, folds in the skin all begin to appear. You have dull and dry skin. Is there a way to restore your youthful looks? While ageing brings with it many benefits, adding experience and making you wiser, the outer signs like wrinkles on your face and skin blemishes are not so welcome. Well, you can now keep off these signs of ageing without surgery. At Kaya, all treatments and therapies are performed by highly experienced dermatosurgeons or by trained and certified technicians. Whatever treatment you sign up for, you know you are in safe hands at a top-notch clinic with state-of-the-art facilities. If you want solutions for breakdown of collagen in skin that has caused sagging skin, or a solution for your crow feet, frown lines - you can find many treatments that are non-invasive. Before the treatment, the doctor examines your medical history. If you are taking any medicines or have a medical condition that are contraindications for the treatment you want, you are advised against taking it. If you don’t have any conflicting condition, the selected treatment is tried out first. A tiny botox or filler injection or thermage on a small area is tried first. If you develop an adverse reaction to the treatment, alternative therapies are explored. Only if you show no adverse reaction are you given the go-ahead to sign up for the treatment. Botox is a powder derived from Botulinum Toxin, which is a neurotoxin. Botox is used to prevent dynamic wrinkles. These are caused by muscle movement, like crows feet that appear when you laugh, and frown lines. When injected into the target muscle, Botox cuts off neurosignals that make the muscle contract. This smooths out the wrinkles caused by that muscle. Botox treatment is safe when performed by experienced doctors like those at Kaya Clinic. The effect of Botox lasts for several months. You see the results quickly, in the form of disappearance of crow's feet or frown lines etc. Wrinkles/ fine lines that are etched into the skin as a result of fat and collagen depletion cannot be treated by Botox. For these, you need to fill out the wrinkles and lines. Dermal Fillers are used for this purpose. Kaya uses the safe and FDA-Approved Juvederm XC Dermal Fillers to fill out deep lines and wrinkles and give volume and fullness to your skin. The Juvederm Filler is made of Hyaluronic Acid (HA). This is a naturally occuring substance in the human body and plays a key role in collagen synthesis. The Juvederm Filler injection fills out the wrinkles and smoothes them out. The Hyaluronic Acid also helps hydrate your skin, which is one of its natural functions. Immediately after the treatment your skin feels younger, firmer, and more supple. As you age, you lose the collagen that gives structure and shape to your skin. As collagen in skin breaks down, your skin collapses. Your cheeks become hollow, wrinkles appear, and your neck skin acquires the vertical unsightly folds that are unmistakable signs of advancing years. Thermage is a radiofrequency energy treatment. Using a handheld device, the doctor applies Radio Frequency energy to the deeper layers of your skin. This heats up the lower skin layers, and firms up the collagen present here. This RF therapy also kickstarts collagen renewal. This is a very natural method for getting rid of wrinkles and folds. This skin tightening process works on wrinkles in your face, folds in your neck, loose skin around your abdomen, on your limbs etc. The procedure can take from 45 minutes to 2 hours depending on the size of the region targeted. One single session is enough to get the full benefits of this treatment, and the effects can last upto 2 years. There is no downtime, you can return to work at once. While you feel a firming up of your skin immediately, it is the effects over the next few months that are more satisfying. This treatment encourages collagen and elastin renewal. Over the next two to six months, you can feel your skin becoming fuller and firmer, wrinkles and sags reduce, and your skin becomes more supple. At Kaya, only the best of tried and proven US FDA approved methods are chosen to treat clients. 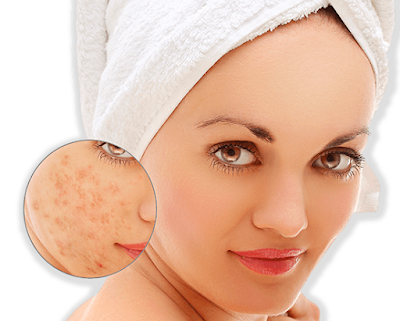 You are in the safe hands of highly experienced dermatosurgeons and technicians. The clinical setting where you are given the treatment is safe, hygienic, and well equipped. Therefore, you can be sure of the safety and efficacy of any treatment you undergo at Kaya. Call up your nearest Kaya Clinic and fix an appointment for a consultation to treat your age related issues. Get focused treatments that are chosen to target your particular condition. Look younger, and stay happy with your looks even as you get older - age gracefully with Kaya!